5 Grooming Products You Don't Use, But Should | Valet. When it comes to grooming products, a guy could drive himself crazy trying to keep up with all the new stuff out there. All the promises and innovations that can sometimes be a lot of flash and packaging without any real results. And because of that, a lot of men stick to the tried-and-true bathroom staples. If that sounds familiar, you could be missing out. Because the truth is, utilizing the right products can undo years of abuse from hard weather and harder living. Here are five products that you might be ignoring at the moment, guaranteed to improve the way you look and feel. These aren't the embarrassingly goopy kind of masks you have to slather on, and then wait around for it to harden. These are formulated to be applied in a thin layer before going to bed. Let it work while you sleep and then simply rinse any residue off in the shower the next morning. 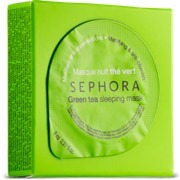 This calming green tea mask reduces irritation, absorbs excess oil and other gunk in your skin for a clean, shine-free complexion. Plus, the one-time-use mask comes in a handy sauce packet packaging. These aren't something you have to use everyday, but definitely come in handy enough to warrant a purchase. Keep them in your carry-on bag, in your glove compartment and your desk drawer at work. 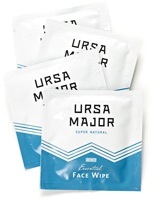 We love Ursa Major's refreshing and individually-wrapped bamboo face wipes. They're durable enough not to tear on your 5 o'clock shadow and are infused with the brand's cleansing and hydrating 4-in-1 Face Tonic. Even if you're not worried about fine lines or crow's feet, an eye cream can also help combat other eye-area problems that make you look tired and run-down, like puffiness, bags and dark circles. RoC's Correxion eye cream contains pure retinol and an exclusive mineral blend to visibly improve the look and texture of the skin around your eyes after just a few weeks of use. A basic shaving cream gets the job done. But the foam from most drugstore aerosol cans isn't the best for your skin. Upgrade to a quality version like this rich absinthe shave cream from Korres. The non-foaming cream helps your razor glide smoothly over the jawline while high amounts of anti-inflammatory and antimicrobial essential oils keep your skin protected and moisturized. Rogue hairs sprouting out of your nose or ears are bad news. They tend to make you look older, tired and sloppy. And a recent survey confirmed that nose hair could be costing you dates. If you don't have a trimmer, get one and use it regularly. The downside of battery-operated trimmers is that when the batteries get low, the motor slows and instead of cutting, it pulls out hairs. You don't want that. You want this compact, metal trimmer that works by simply twisting the handle. A fluoride rinse prevents cavities, strengthens teeth and reduces sensitivity. This minty dentist-recommended rinse not only freshens breath and kills germs, it promotes healthy gums and helps rebuild tooth enamel. One product that's easy, effective and delivers results to make you instantly more handsome. Want your skin to look and feel a whole lot better?